With the next stage of this episode being New Mexico, it was kind of weird. Yes I know this region has had its fair share of severe weather events and made for some great photography with its wild, geographical landscape but it was not the most traditional Tornado Alley chasing country. Crossing the Texas – New Mexico border was symbolic though since it was the first time I had entered New Mexico. It was late morning when we crossed the border and headed for Les Vegas – no not that Les Vegas. A tornado warning had been issued for supercell in that area. It was heading our way southeast – obviously a right mover. A cell appeared to our west but appeared high based but it was tail end Charlie. By the time we made it onto the high Plateau altitude about 1600 metres, the rotating HP supercell appeared to have lost its structure. 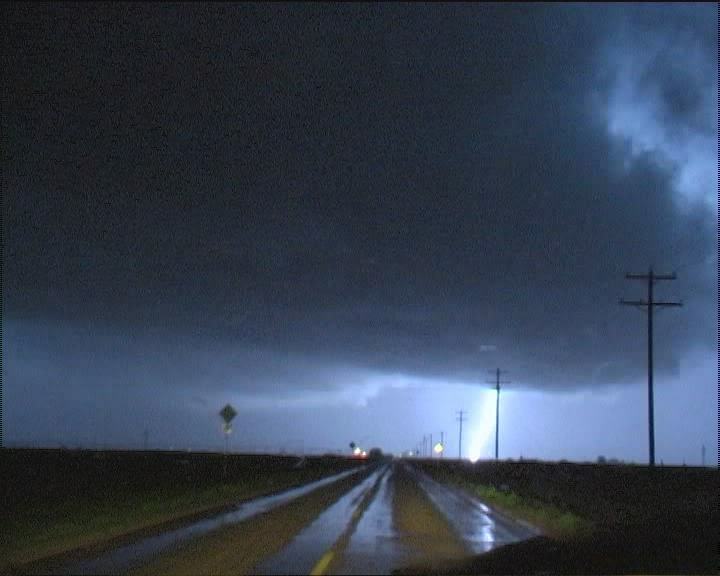 It had already dropped its tornado and it was not wise to cut a path SW on its southern side with only one road. So we backtracked to near I-40. There was a storm to our south-southwest and again we had word that this was very impressive. What? But that was what they said yesterday? I guess we didn’t make much fuss about the storm. 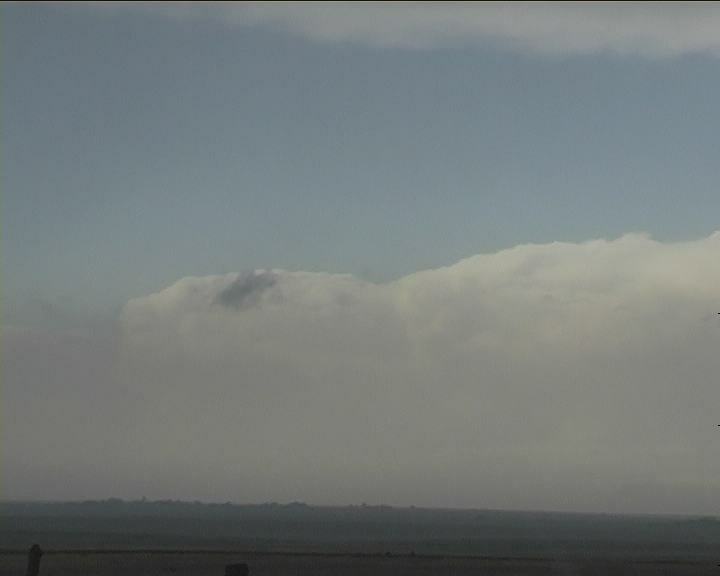 Well there was an inflow band as one would suspect not that impressive looking from the northern side. Oh and by the way this was tail-end Charlie re-incarnated. 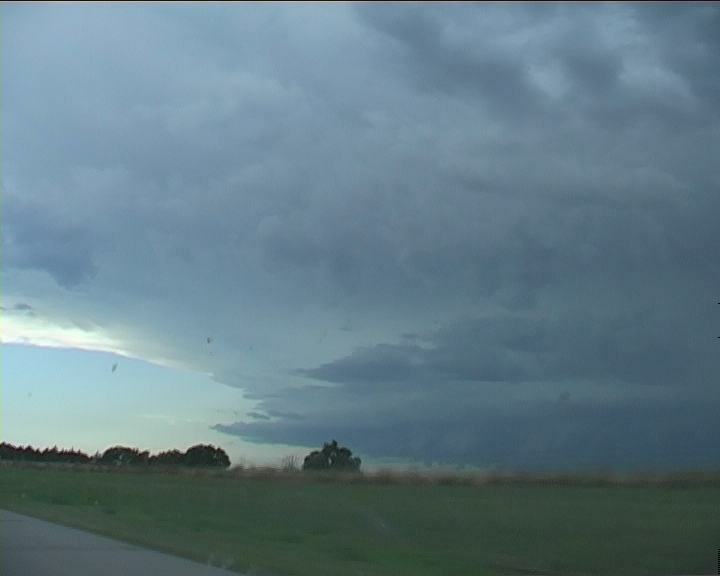 It had finally moved off the dryline and in intensified. Intensified I guess was an understatement; this thing had exploded. Absolutely nothing though could prepare me for what I was about to witness! 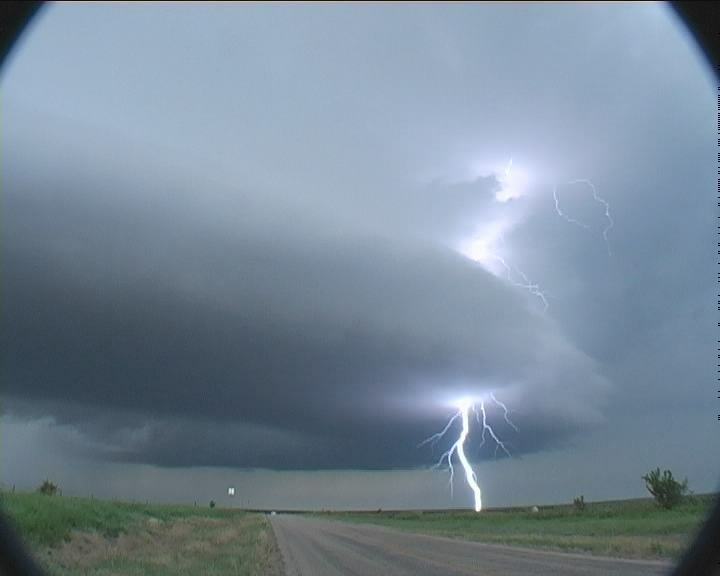 Yes I know the previous day was a unique event but passing under the inflow band revealed one of the greatest transformations in my chasing career. With a very limited road network, we meandered the countryside down its eastern fringe. 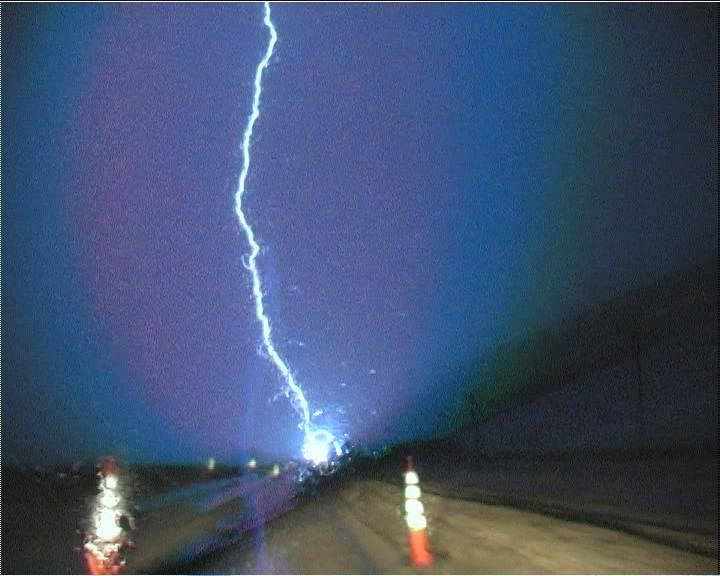 A loud thunder exploded nearby after a close lightning bolt pierced the earth from the vault. Hail thumped our vehicle. 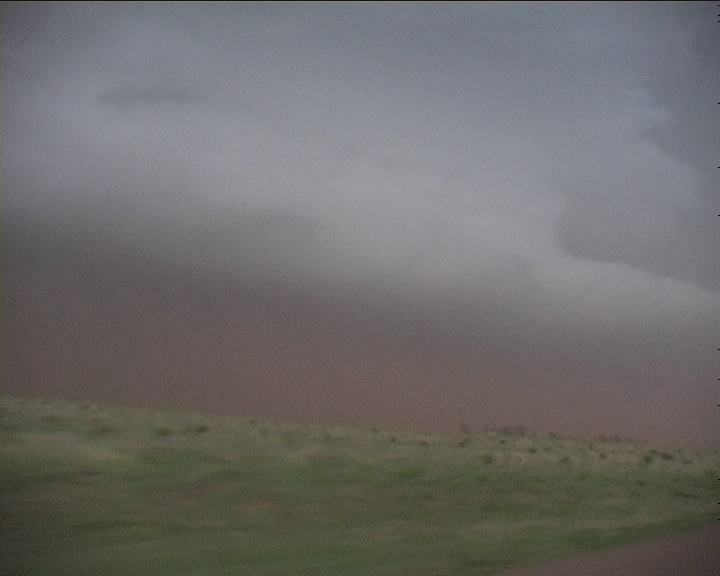 And the inflow at this stage was streaming from the east-northeast – dust and tumbleweeds swirling westwards. 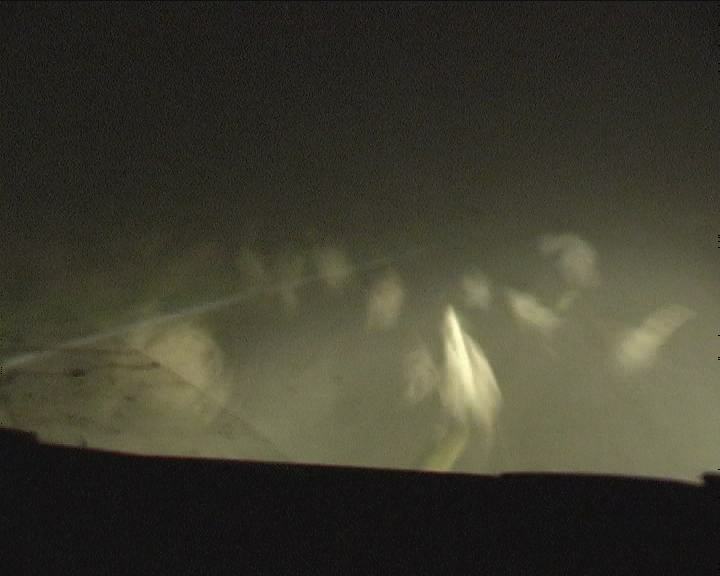 We were in danger of losing the windscreen from very large stray hailstones when finally the road turned south. We bi-passed Clovis on its western edge and passed the Cannon Air Force Base with tornado sirens blazing – destination Portales. 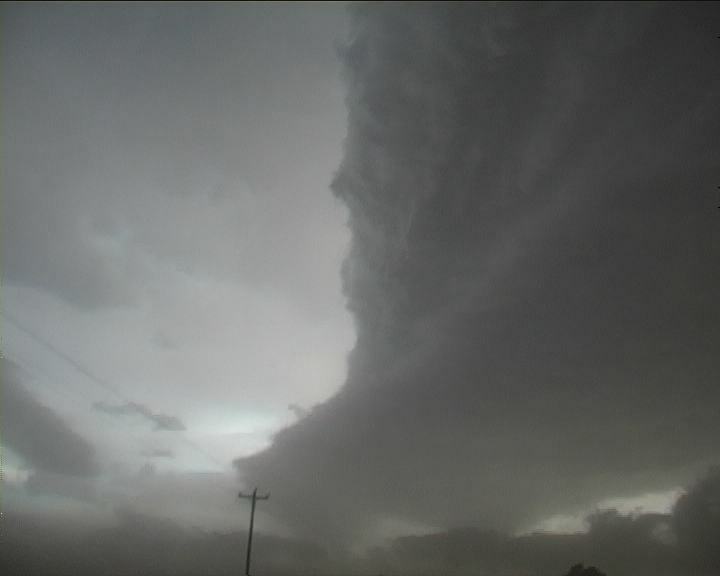 From an eastern and southern perspective, multiple inflow bands appeared from all over the south and east. This storm was greedy. 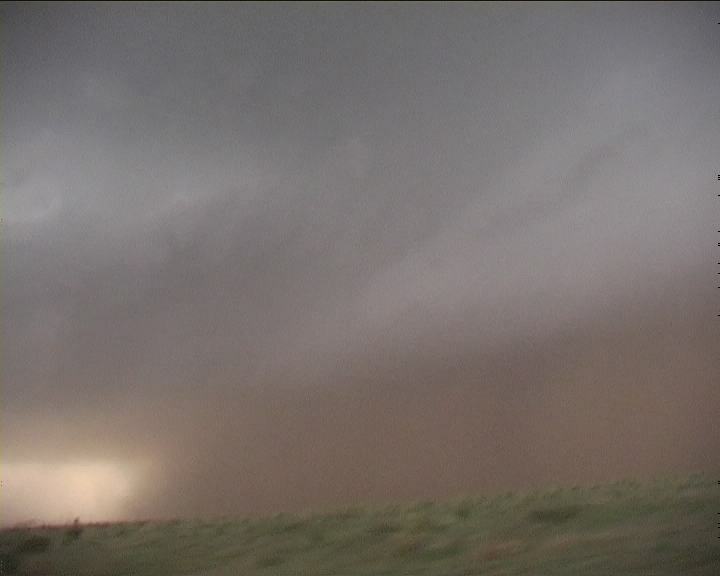 Feeding on moisture, the storm had simply exploded into an isolated inflow dominant HP beast. It was as if there was a hole in the sky. 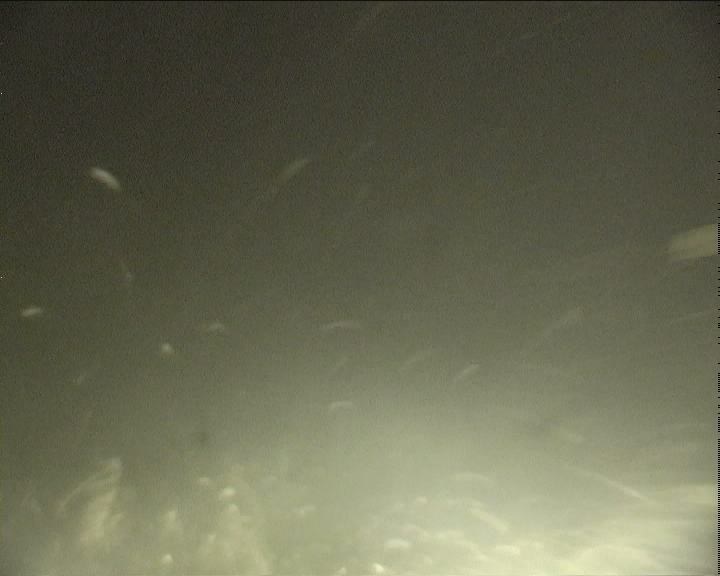 Yes this storm was so powerful that it was sucking dust from ploughed fields 15km out. And what structure! The vault rippled texture sent shivers down my spine. You could see straight up. 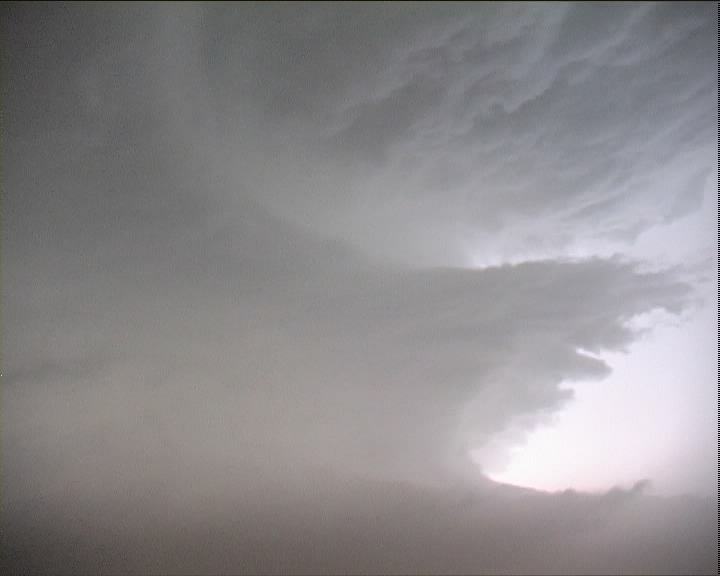 It was like a giant octopus with arms extending out in the form of multiple inflow bands at various levels. Never have I observed something quite like this. It was the storm from hell! Roof ripped off a mobile home due to violent inflow winds! 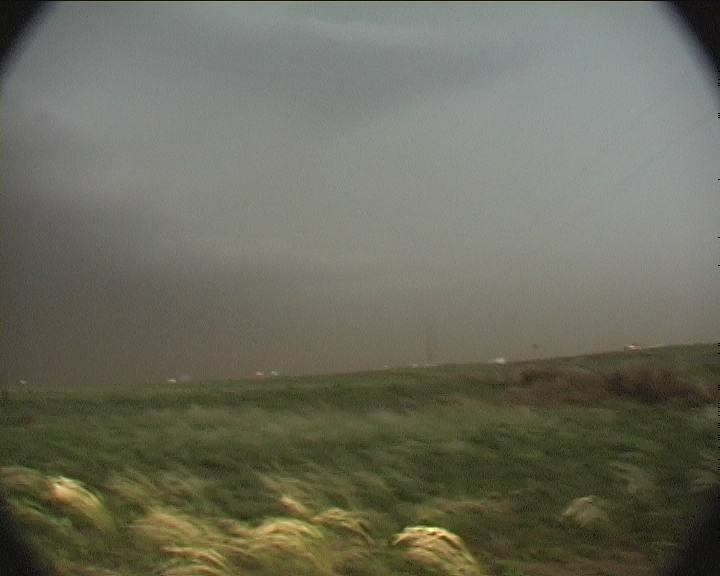 Grass here is shown clearly being flattened by the inflow winds! The winds were so strong that damage was being caused by the inflow winds. Now putting this into perspective, this region experiencing damage being still well east of the storm would not have experienced most of the core. The vehicle buffeted under the impact of the winds – remember this was inflow. 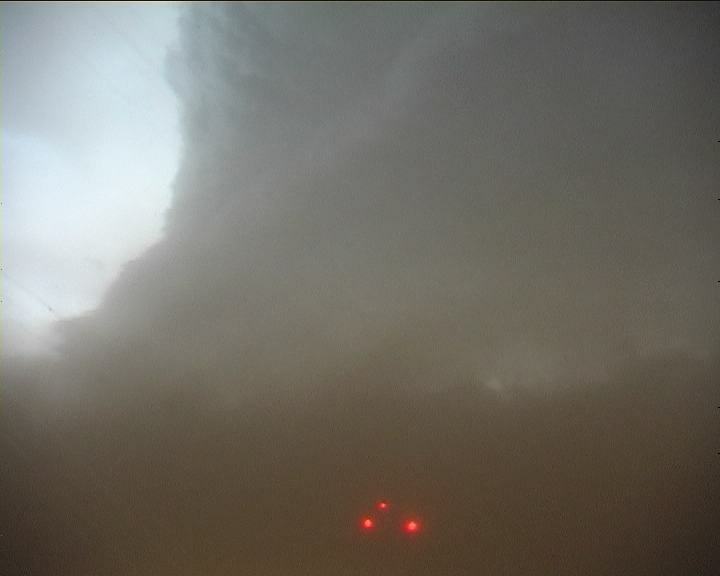 The base and any tornadoes were enshrouded in dust. We made our first stop just southeast of the beast. I panned a 360 view of the storm. I was in awe - it was impossible to comprehend. I could hardly stand upright – the grass fields rippling violently. Who knows what time it was – at this point time was irrelevant. The noise from the wind was constant drowning any thunder. Suddenly the air had slowed down and turned cool. Rear flank downdraft!! Time to move. We blasted further south and east, tumbleweeds bouncing across the road. 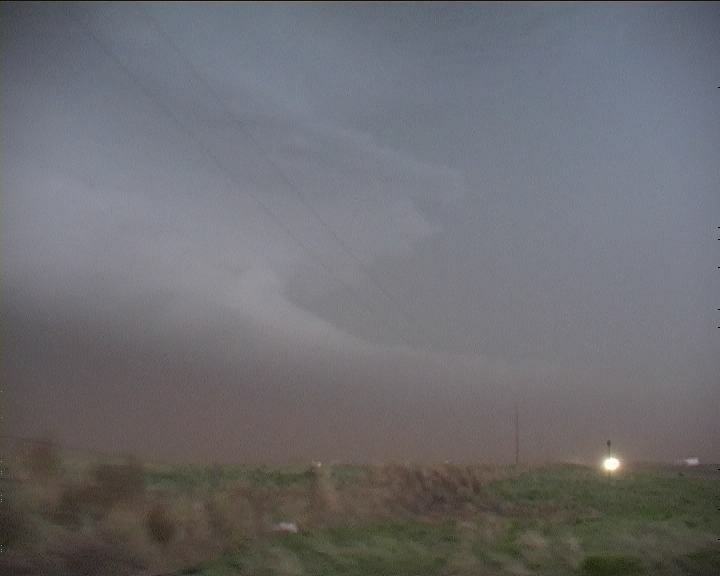 We were back in inflow. Further east we stopped once more. The light was fading and the lightning flickering constantly in the structure. Roof ripped off a mobile home due to violent inflow winds! I couldn’t believe that getting out of the vehicle would be so difficult and standing out near the gate would involve avoiding being hit by tumbleweeds. Fearing I was going to be hit, I tactically moved in line with the gate post. And you believe it one bounced off my face and video camera in a flash the incident captured on film. So much for the tactics! It was now getting late yet there was still not let off. Turning on the radio, the warnings were still for tornadoes and very large base ball sized hail. And then suddenly a different warning came on. I could not understand. I tried to listen carefully thinking the radio had malfunctioned. The damn warning was being repeated in Spanish which we found quite humorous. Further east again we crossed the channel of dust and debri once more. And not only was there tumbleweed mania, gravel also blasted our vehicle! 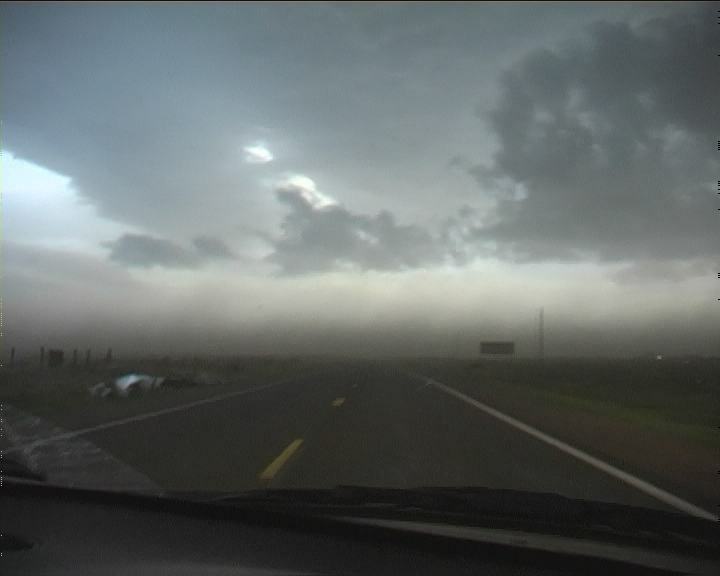 Tumbleweeds and even gravel blasted our vehicle under the impact of the inflow winds as we headed east. Content with this intense action, we let the storm drift on and headed north to meet another gust front and experienced a lightning show spectacular. I was speechless – what a day… This was one event that you simply would never forget. 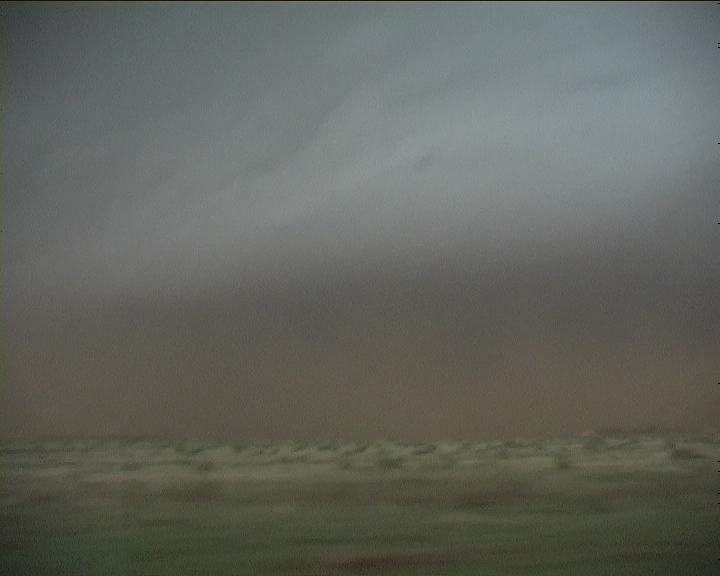 June after heading to west Texas near Lubbock, limitations on time brought us east to near San Angelo. 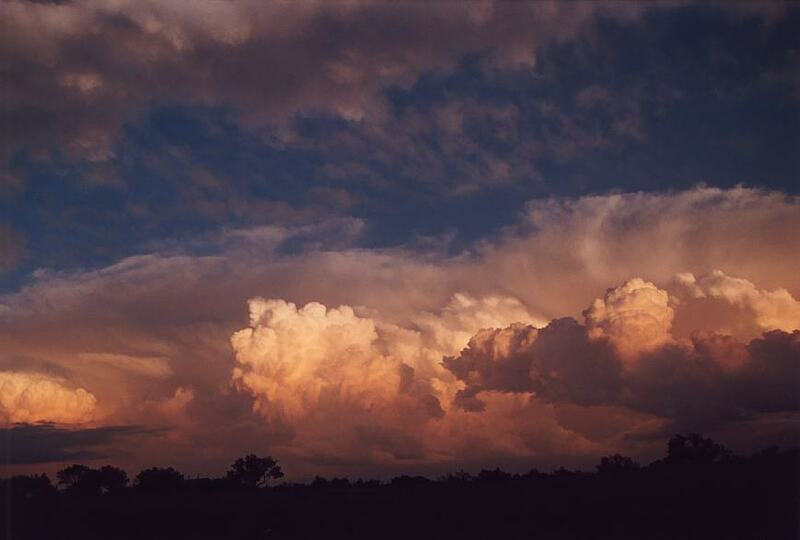 The setting sun made for an excellent backdrop with backlit cumulonimbus form the multicell complex. 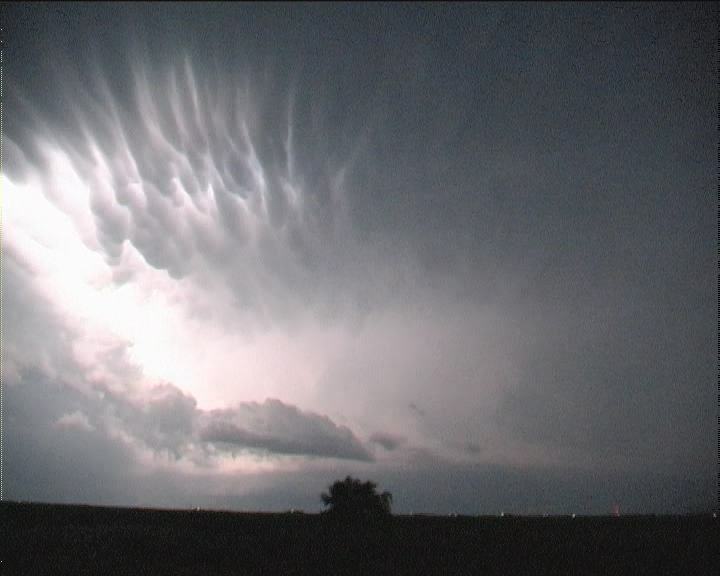 We experienced a spectacular lightning show with rippled mammatus and anvil crawlers!! Though we all had to return to Dallas and made it back by 1am. 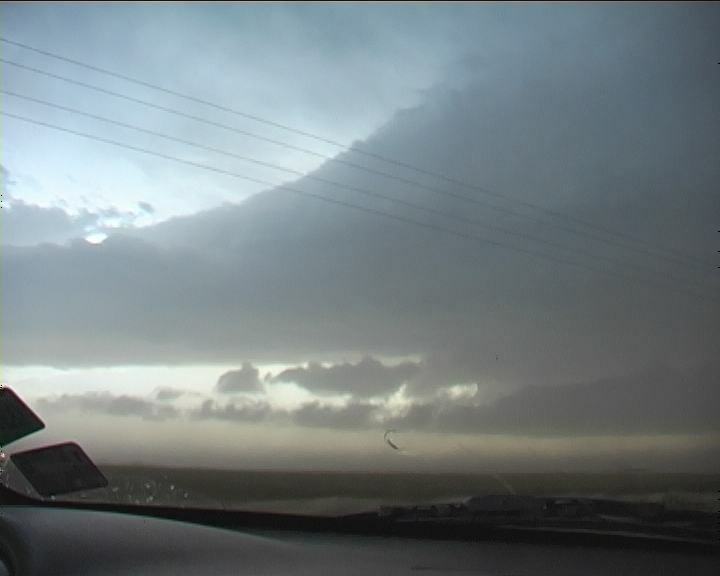 Chasing in the Texas Panhandle since there were limited opportunities to chase further north in Nebraska where tornadoes were sited, I chased a left moving weaker LP supercell and then intercepted briefly a right moving storm that went HP and collapsed. I knew the risks and that the storms would not be as spectacular. I guess I should have headed north. 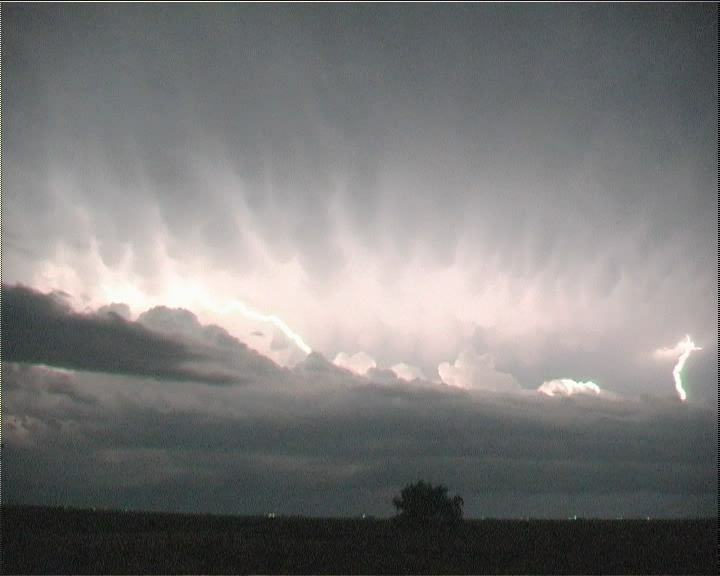 During the night time, I experienced outflow from storms to the south and also a neat lightning show. With a cold front heading into Oklahoma, I remained in the warm sector just southwest of Oklahoma City and took timelapse footage of the developing squall line high contrast storms. 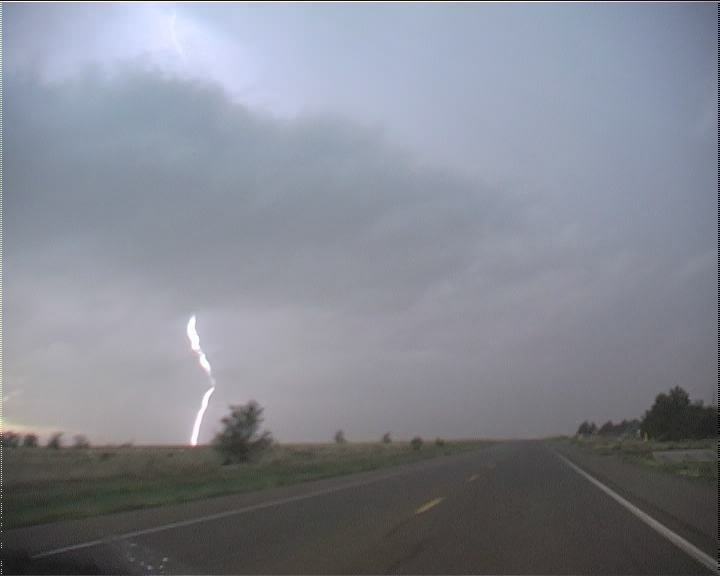 Further south near Marlow and then further south near Duncan, I intercepted a tail end Charlie HP supercell with nice curved gust fronts and impressive lightning as the storms tapped the upper atmosphere. 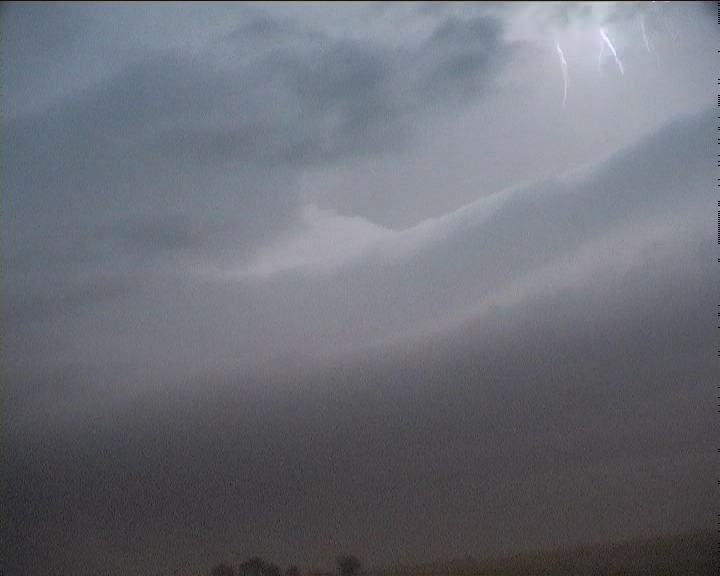 The lightning show during the night time was impressive and the last tail-end Charlier storm chased me east. 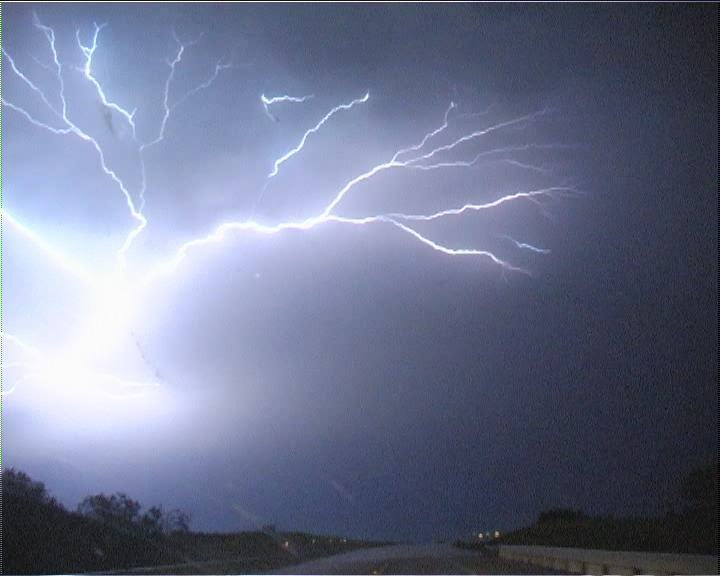 It was a beast and strobed with some incredible lightning bolts from the vault region. I encountered a blackout in a town trying to fuel – this wasted time and ended my chase. It was getting late as well and I knew tomorrow I would have to head west for my target. Target was near Childress, though as the sharp dryline had entered Childress, I headed south of Childress to the region East of Plainview and west of Throckmorton where a tornado watch had been issued. The lapse rates were fairly steep that combined with moisture profile hail to 4 inches were in the warning. Chasing a tornado warned storm, I aimed for the town of Olney (little did I know it would experience a tornado the next day). The storm became outflow dominant. I then hear of another tornado warned storm near Throckmorton. 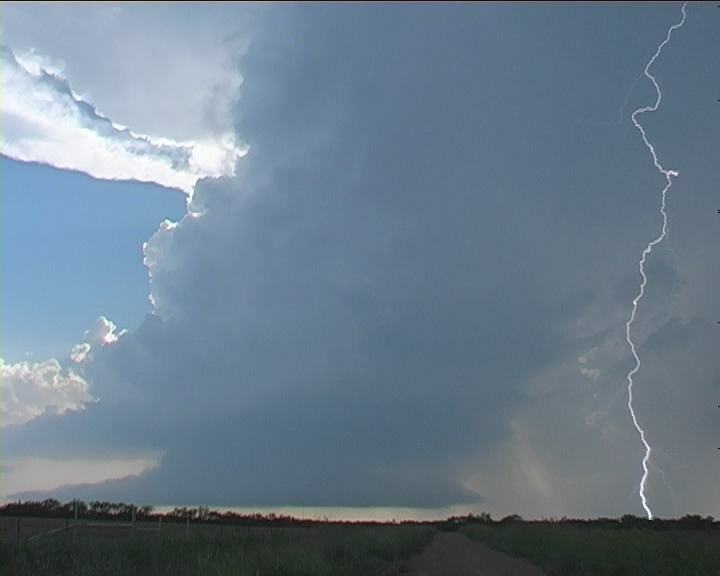 This meant I had no choice but to core punch the squall line in order to have any chance of being near the supercell. 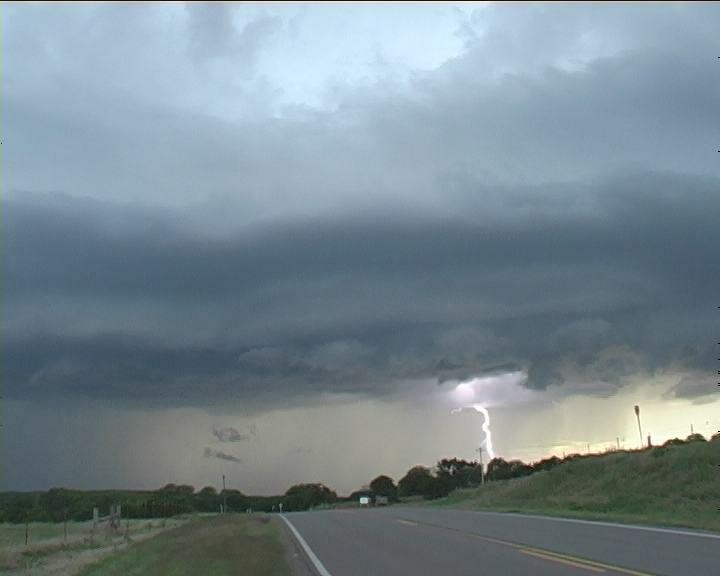 This supercell would soon become engulfed by the squall line. South of Throckmorton, I met up with Carson Eads. Was the show over? No not yet. 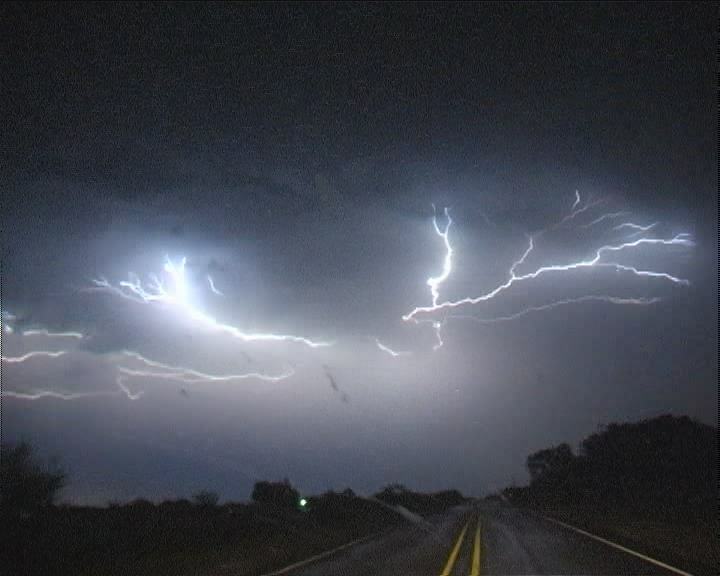 After fuelling, I headed east only to experience the most spectacular anvil crawler lightning show ever. 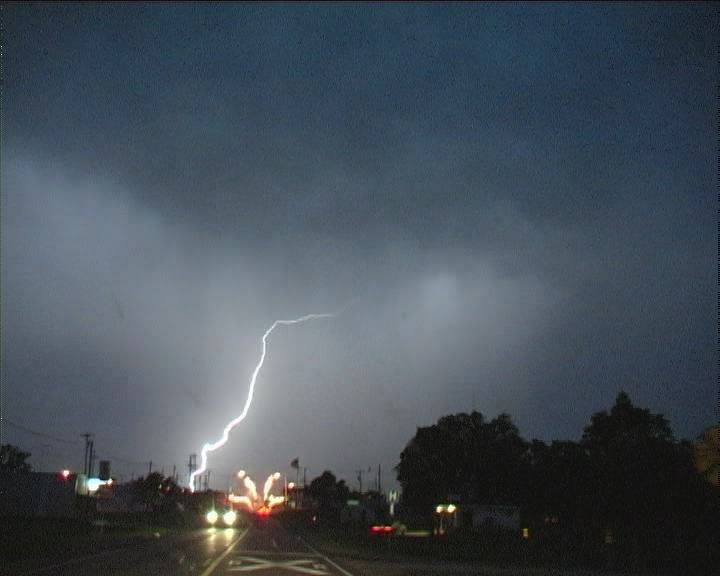 Absolutely awesome with some anvil crawlers lighting up the sky. This storm and lightning would take me back to Dallas. Last day in the US for the 2003 trip having to leave the very next day. Target region near Graham perfect target. 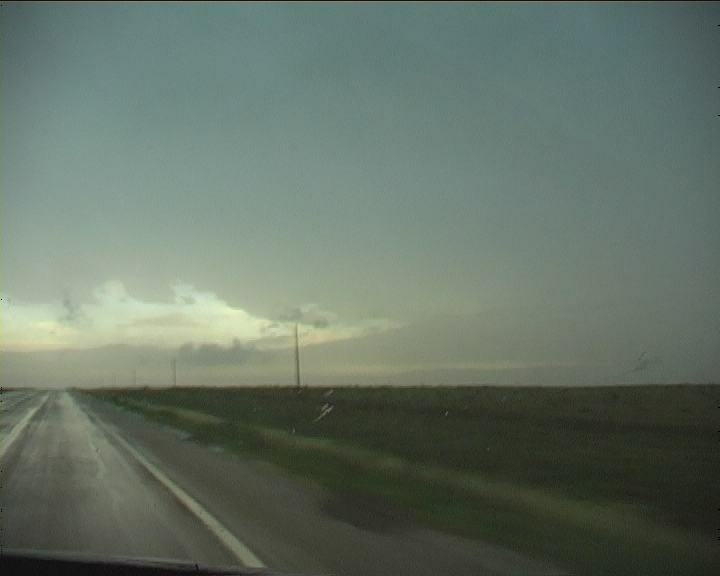 Paralleling an outflow boundary, we reached the moist and sultry warm sector near Throckmorton. 97F temperatures with 76F dew points indicated a very impressive high CAPE environment. Soon one lone cumulus amongst the cumulus field near the boundary would explode and quickly became organised west of Olney. With cow catcher and inflow characteristics, it slowly began to accelerate southeast. Just south of Olney, whilst filming impressive lightning from its vault region, a fast developing funnel descended near the clear slot. 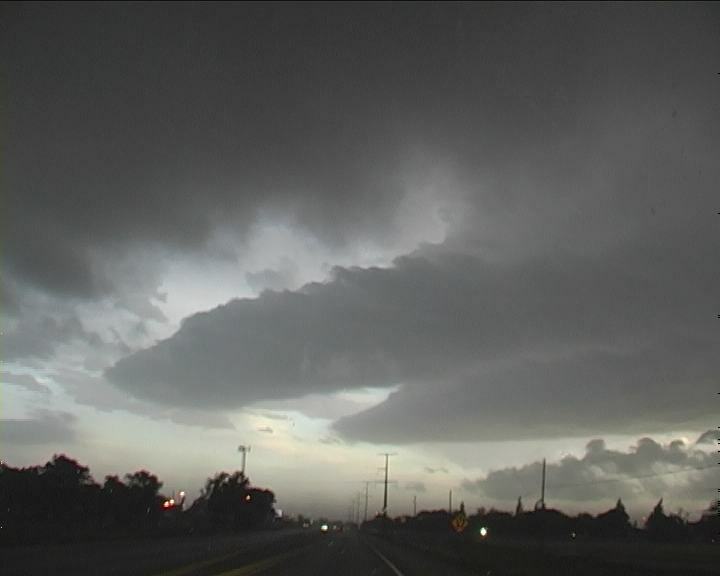 Tornado sirens could be heard in Olney – touch down confirmed by chasers later. We remained with this storm for some time but it proved our expectations that any tornadoes were expected in the early life cycle of the storms. But the show was not over yet. West of this region, I could still observe an impressive developing low precipitation structure through the haze and sunlight. And impressive it was as we approached Newcastle. 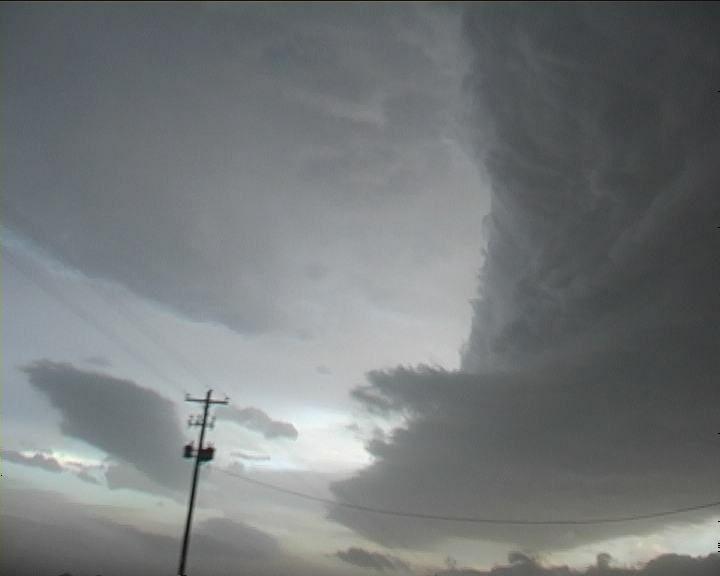 Here I was able to film timelapse of the incredible rotation and magnificent structure. Both storms had TVS signatures on the storms hence the tornado warnings. 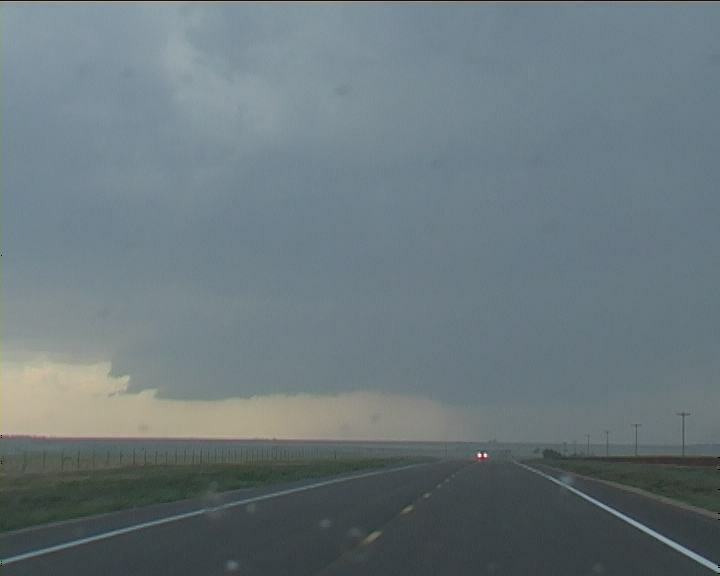 But this low precipitation supercell never produced a tornado although it did develop an area of rotation and what looked like a small clear slot. Being a slow moving storm made for the best time lapse opportunity. 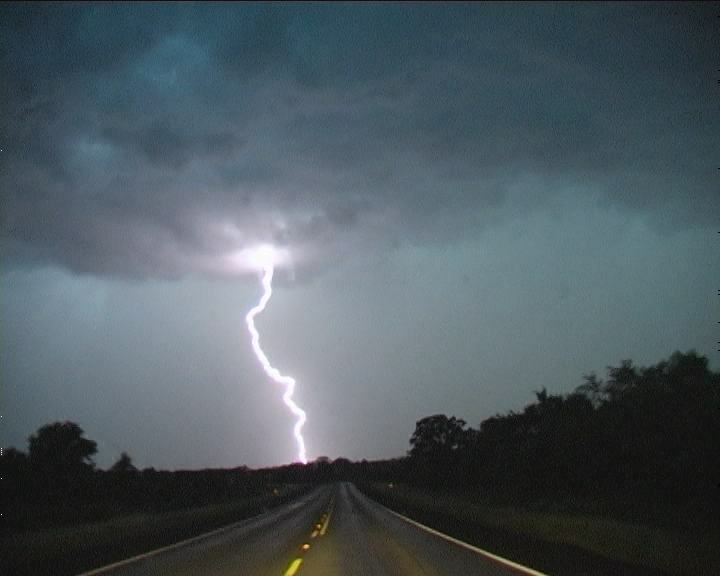 During the evening we called it a day heading back to Dallas experiencing more lightning! This officially ended the trip - a trip with a difference.